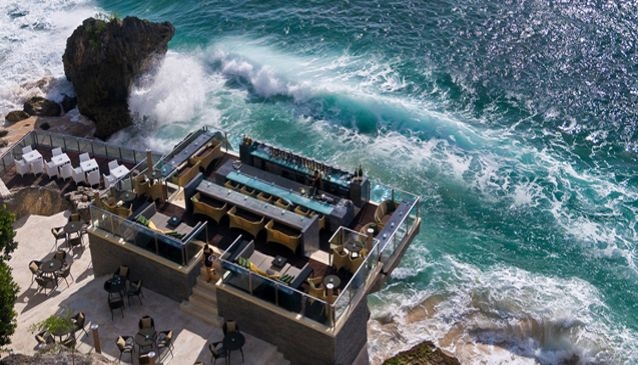 With a 290-room hotel and 78 private freestanding villas spread out along its 1.3 kilometer coastline, this is the most spacious and one of the most acclaimed Bali luxury hotels. Set in 77 hectares of cliff-top tropical gardens perched 35 meters above Jimbaran Bay, Ayana Resort and Spa offers majestic views and a secluded location just 10 kilometers from Bali's airport. Come and experience an indulgent romantic vacation, dine at lavish restaurants, take part in our range of resort recreation, or just relax by the pool while you await your next treatment at the Thermes Marins Spa on the Rocks.